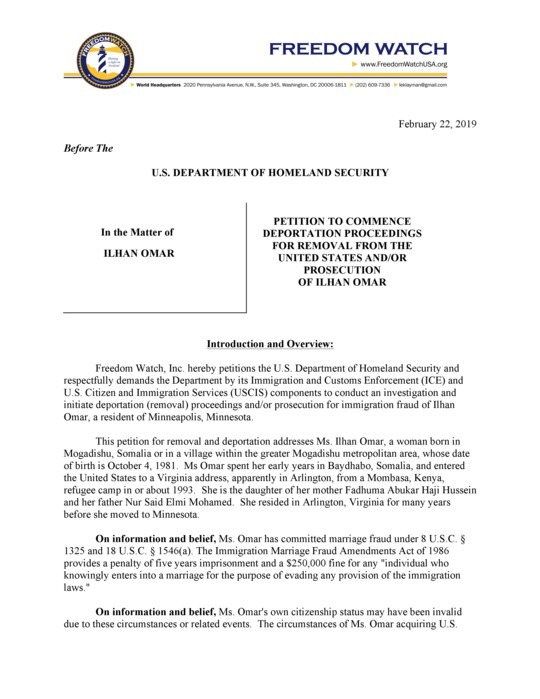 Klayman: See Freedom Watch DHS Complaint to Prosecute and Deport Omar Embedded Below! It won't be "all about the Benjamins baby" for protesters outside the Woodland Hills Hilton tomorrow. 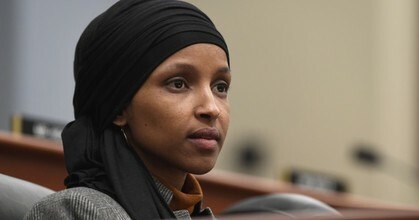 That's where the Council on American Islamic Relations' Los Angeles chapter will be holding its fourth annual "Valley banquet" fundraiser hosting controversial Rep. Ilhan Omar, D-Minn.
Omar has generated attention and condemnation with her series of anti-Semitic remarks in recent weeks. But activists in L.A. are more concerned by her decision to raise money for various Islamist groups, some of which have been tied to the Muslim Brotherhood and others labeled designated as terrorist-linked by some foreign governments.